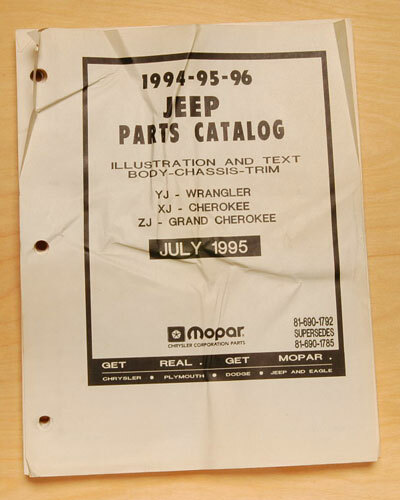 Jeep Parts Manual 1994-96 - Jeep Parts Guy - All the Jeep Parts You Need! Illustration and Text parts catalog for 1994 to 1996. This is an original. Not a replica.